An undergraduate alumna's efforts to improve our quality of life at Ecology Action's Pollution Prevention and Zero Waste Division. Kirsten currently leads the Pollution Prevention and Zero Waste Division at Ecology Action, work that is fueled by a strong commitment to bring different segments of the community together to improve our quality of life. In this role she develops strategic initiatives and programs and manages the division in achieving high employee satisfaction and project accomplishment. Since graduating from the University of California at Santa Cruz Environmental Studies (Honors) in 1991 she has succeeded in developing strategic programs with broad stakeholder engagement in the public, private and non-profit sectors to reach resource conservation and pollution prevention goals. As a result of her efforts and service, she was awarded a legislative resolution from the California State Assembly commending her significant and vital contribution to the state's household hazardous waste programs. 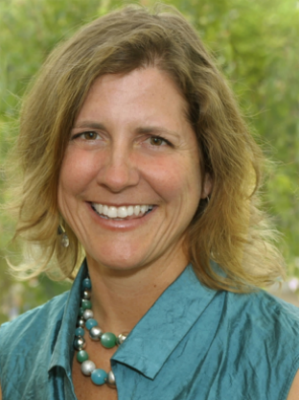 During Kirsten’s tenure at Ecology Action of Santa Cruz, the organization has experienced significant growth in size and breadth of program expertise. Ecology Action has grown in that time from a staff of 9 and a budget of $591,000 to a current staff of over 70 and a budget of over $18 million. Kirsten’s contribution to Ecology Action’s growth is her ability to grow and establish new programs in the pollution prevention arena combined with her skills in building successful collaboratives and managing teams. In her current role as Vice President of the Pollution Prevention and Zero Waste Group Kirsten leads development, fundraises, and works with her team to deliver 12 critical community programs with combined budgets of $1.6 million dollars annually. Additionally she serves on the management team contributing to strategic planning and fund development. When not working with the EA team, Kirsten enjoys taking long walks up big hills with heavy packs, diving in alpine lakes and playing with her nephews anywhere they want to play.